I like to keep a stash of procrastination strategies in my back pocket “just in case”. I have a range of them that work great in different situations. I have an “I can’t work on that project right now because I’m too sleepy” strategy. I have an “Oh, let me go learn this really cool new thing over here” strategy. My personal favorite is the “I need to watch one more episode of this Netflix show even though I’ve seen it a dozen times before" strategy! Each one provides instant (but temporary) relief from the anxiety I feel, while avoiding the thing I should be doing instead. What's worse, is that Procrastination has been rearing her pretty head while I've been trying to work on things I actually want to do! But this time I procrastinate by trying to unpack why I’m procrastinating! It’s a vicious cycle that leads to more of less getting done, more anxiety, and more avoidance. Ugh! If so, you might be wondering, how do we stop the cycle? I believe that in order to stop the procrastination/anxiety cycle, we must begin before we "feel" ready. The key word here is feel. 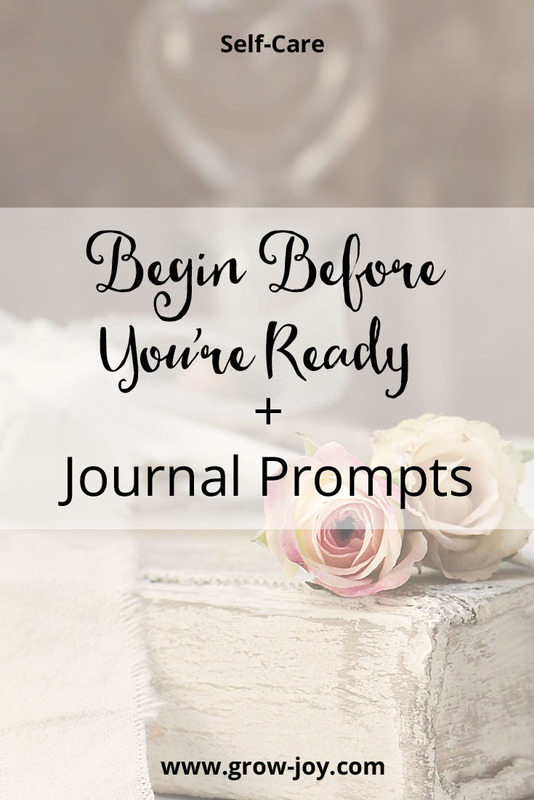 For some odd reason there is an idea floating around that we need to feel ready before we do something. Where did this idea even come from? The truth is that life is a series of choices. We get to decide if we want to move mindfully through life and make conscious, thoughtful decisions. We also get to decide if we want to embrace mindless living and attempt to not make any choices at all. Sometimes this happens because we're feeling lazy. But most of the time I believe it's the result of some kind of fear. It can be fear of success, fear of failure, or any host of fears in between. When I challenge myself to begin despite the fear, I often find that the thing I’ve been scared of… isn’t that scary. Doing the thing actually isn’t that hard. Sometimes the thing even turns out to be fun! Then I think what was I so afraid of to begin with? If you have been struggling with getting started because of the procrastination/fear cycle, I invite you to take one small step towards your fear today. What is one thing that I would like to do that I have been avoiding because of fear? What am I actually afraid will happen if I do this thing? What will happen if I don’t do this thing? What will I miss out on? What is one small step I can take today in the direction of my fear today? Try to pick a step that feels like a little stretch beyond your comfort zone, but is also totally doable. Finally, try to beat Procrastination by doing that one small step today! Do you have any strategies that you’ve tried that have helped you move through fear? If so I’d love to hear about it in the comments section below. P.S. 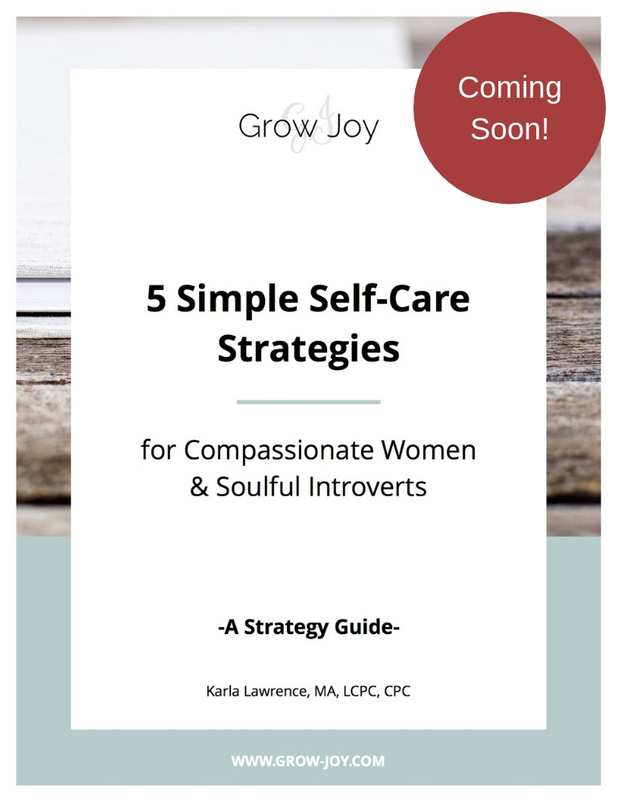 If you would like to begin your self-care journey, I invite you to download a copy of my free simple self-care strategy guide. These 5 strategies will make it easy for you to take one small step in the direction of your fear, today!